In 1943, Our Lady of the Rosary appeared to Pierina Galli in Montichiari, Italy calling for prayer and repentance. 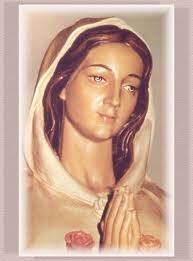 Our Lady asked to be venerated as the Rosa Mystica and she reappeared on many occasions to Pierina right up to 1967. The feast day of our Lady of the Rosa Mystica is celebrated on the 13th of July. The 13th of December 2005 saw the birth of this new group at St. Charbel’s Parish. The Family of the Rosa Mystica group is open to all parishioners. The group gathers every Tuesday at 7.00pm and Friday at 10.00am at a different house in the Parish where the Holy Rosary is recited and prayers are raised. During the month of May, the group gathers every day at a different house at 7.00pm for prayer and devotion. 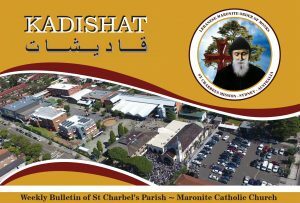 Mass is celebrated for the Group on the 13th of every month at 11.00 am at St Charbel’s Church. The Group extends a warm welcome to all wishing to join us in prayer, and anyone who would like the Pilgrim Rosa Mystica statue for one week in their home can contact Fr Elie Rahme at the Parish office on 9740 0998.